On January 12th, 2016, students from Truman Elementary, as well as two area parochial schools that Truman invited, were treated to a fast paced, energy filled (pardon the pun) program about the invention of our modern day electric systems. "War of the Currents" is an assembly program put on by The Bakken Museum of Minneapolis and sponsored by Benco Electric and Great River Energy. During the program, students learned about Thomas Edison and Nikola Tesla and how the two were at odds with one another in creating the better system for delivery of electric energy. Students participated in the show by acting out parts and being part of demonstrations that illustrated electrical principles. 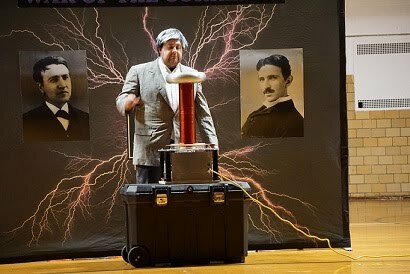 The show was a crowd-pleaser with the demonstration of a 5 ft Tesla Coil that sent lightning-like sparks snaking through the air. 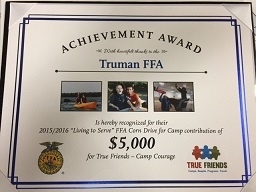 Truman Elementary School Designated a Reward School for 2015-2016 for the second year in a row. 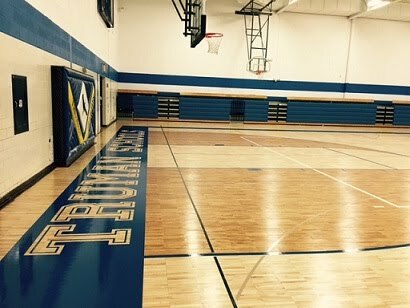 The Minnesota Department of Education (MDE) designated Truman Elementary School a Reward School for 2015-16! Reward schools represent the highest-performing Title I schools based on results of the Multiple Measurement Rating (MMR). As a Reward School, Truman Elementary School is in the top 15 percent of Title I schools in the state. This designation reflects the gains Truman Elementary has made in proficiency, growth and reducing the achievement gap. The Elementary School staff identified areas of past concern and worked to address the needs of students through interventions and adjustments to curriculum. Effective Immediately: If you wish your child to ride a different bus; or go to a different location other than the home address we have on file, you MUST call the school offices to make these arrangements. The bus company will no longer accept texts, phone calls, or messages requesting students be transported to other locations other than their regular home address. Example: If on a night of the week you wish your child to ride a bus to Grandma’s house instead of going home, you must call the school office. We will record your request and pass it along to the bus company and driver. If no phone call is received, your child will be transported to their home address only.